Sarah Palin: Use my daughter Bristol as a teaching tool for others. Mitt Romney: Everything but "marriage" for gay couples. Mitt Romney: Redistribution doesn't create jobs; free enterprise does. Barack Obama: We share cross-border drug problem with Mexico. Barack Obama: Fast & Furious was completely wrongheaded; we've stopped it. Mitt Romney: We share cross-border drug problem with Mexico. Barack Obama: More education funding from early childhood thru Pell grants. Barack Obama: Recovery Act avoided layoffs; now hire more teachers. Mitt Romney: Put kids & teachers first; teachers' unions go behind. Mitt Romney: Free tuition at MA college for top 1/4 of high school grads. Mitt Romney: Cap Pell Grants to increase only at rate of inflation. Mitt Romney: Don't overwhelm college students with loan debt. Barack Obama: Nationwide program to reconstruct crumbling school buildings. Bill Richardson: Pay off college loans in exchange for national service. Dennis Kucinich: Free education from pre-kindergarten to college. Mitt Romney: North American energy independence in 8 years. Barack Obama: Partner with Arab Spring countries to work toward democracy. Barack Obama: Invest in our relationship with Mexico. Bill Richardson: Alliance with Latin America on microlending & human needs. Chris Dodd: We spend $500B in Iraq; add some to $1.6B in Latin America. Chris Dodd: Expand the Peace Corps. Chris Dodd: We�ve neglected Latin America; need to re-engage. Chris Dodd: Cuba embargo hasn�t worked for 50 years; unravel the embargo. Hillary Clinton: Cuba deserves peaceful transition to freedom & democracy. John Edwards: Our Latin America policy is either disengaged or bullying. Mike Gravel: Recognize Cuba; open up to Chavez in Venezuela. Dennis Kucinich: NAFTA accelerated immigration from Mexico, in search of jobs. Dennis Kucinich: FactCheck: NAFTA coincided with (not caused) peso collapse. Mike Gravel: CAFTA & NAFTA cause unemployment in Mexico & Central America. Mitt Romney: State targets for insurance, to replace ObamaCare. Barack Obama: Morally wrong that terminally ill must consider money. Barack Obama: FactCheck: Correct that insurance lobbying cost $1B. Bill Richardson: New healthcare system in one year, with no new bureaucracies. Chris Dodd: Include undocumented workers in healthcare plan. Dennis Kucinich: Fake debate if we talk about maintaining present system. Dennis Kucinich: FactCheck:Insurance industry profit is under $97B, not $600B. Hillary Clinton: No parent should be told �no� for healthcare for their kids. John Edwards: Comprehensive coverage costs $90B to $120B a year. John Edwards: FactCheck: Plan costs $106B-$146B per year, not $90B-$120B. Mike Gravel: Applies lessons from his healthcare-related bankruptcy. Barack Obama: Remain vigilant & focus forcefully on groups like al Qaeda. Mike Gravel: Terrorism is not a war; treat it as a criminal act. Barack Obama: I promised reform in 2009, but economy took priority. Barack Obama: Still supports comprehensive reform and the DREAM Act. Barack Obama: Focus deportations on criminals and those without US roots. Mitt Romney: Focus on reuniting families instead of diversity or DREAMers. Mitt Romney: Undocumented students get legal status by joining military. Mitt Romney: Self-deportation: people make their own choice about leaving. Sarah Palin: Supports a path to citizenship, but no amnesty for illegals. Barack Obama: Immigration system is broken for legal immigrants. Barack Obama: Reform must include more border security, and border wall. Bill Richardson: Border wall is horrendous example of misguided policy. Bill Richardson: Federal raids are ineffective; we dehumanize immigrants. Chris Dodd: Teach more Spanish, but not as a second national language. Chris Dodd: Mexico is a neighbor and ally, but supported border wall. Dennis Kucinich: Promote Spanish as a second national language. Dennis Kucinich: Build relationships between nations, not walls. Hillary Clinton: More border patrolling on both Mexican AND Canadian borders. Hillary Clinton: Immigration reform needs family unification as one goal. Hillary Clinton: Anti-immigrant bill would have criminalized Jesus Christ. John Edwards: More technology at the border, but address underlying causes. John Edwards: Undocumented workers deserve same rights as American workers. Mike Gravel: Immigration issue is national scapegoating. Mike Gravel: Embarrassed at building a wall on southern border. Mike Gravel: Suspend immigrant raids that separate families. Mike Gravel: I�m first-generation American; we�re all immigrants. Mitt Romney: Jobs program: energy; trade; training; and pro-business. Mitt Romney: 47% don't pay taxes; but my campaign is about the 100%. Barack Obama: 47% who don't pay income tax pay many other taxes. Barack Obama: Libyan people appreciate that America liberated them. Chris Dodd: Having troops in Iraq makes US less safe. Dennis Kucinich: Iraq plan: Reconstruction, rehabilitation, & reconciliation. Barack Obama: People want a hand up, not a handout. Barack Obama: Stop Fraud Act: full disclosure in subprime lending. Hillary Clinton: Time-out for mortgage companies on march toward foreclosure. 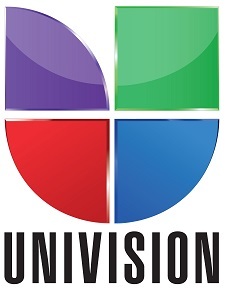 The above quotations are from Media coverage of political races in Univision News.